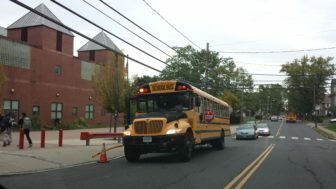 Washington – Since the new federal education bill would end many requirements of No Child Left Behind and give states broad authority to fashion their own education policy, Connecticut’s teachers unions are pressing Gov. Dannel P. Malloy to take advantage of the new freedoms. But Malloy has not indicated whether he would do so. The Connecticut State Department of Education has also been noncommittal. The bipartisan bill will be taken up by Congress this week and is likely to pass both House and Senate, despite some opposition by GOP conservatives. “We are encouraged that there is movement on the (Elementary and Secondary Education Act) and look forward to reading the final bill to see how it aligns with our vision for equity and excellence in education in Connecticut,” said Abbe Smith, spokeswoman for the Connecticut State Department of Education. Connecticut’s teachers’ unions want Malloy to take advantage of new autonomy the Every Student Succeeds Act would give them, especially in allowing states to divorce test scores from the evaluation of teachers. The new education bill would continue to require states to give students standardized tests, including a reading test and a math test every year in grades 3 through 8 and one a year during high school. It also would require students to take a total of three science tests between grades 3 and 12. But it would reverse much of the controversial No Child Left Behind law signed by President Bush in 2002. No longer would test scores be used to punish “failing” schools by stripping them of federal funding. The bill would also give states broad authority over accountability, school turnarounds, teacher evaluations and more. Waxenberg said he wants that to end. He said the CEA would seek help from the state legislature if the governor did not make changes in Connecticut’s school policy. The Every Student Succeeds Act would also give the state flexibility to deviate from “Common Core” standards on English and mathematics. Proposed by the Obama administration, these standards set goals for what a student should know and be able to do at the end of each grade. States that adopted the Common Core standards — and Connecticut and nearly all others did — were eligible for “Race to the Top” funds. What frustrates Waxenberg the most is the linking of teacher evaluations to test scores. Waxenberg said the “Smarter Balanced Assessment” test, modeled after Common Core standards and taken in Connecticut schools every spring, “is invalid” because it’s given on a computer and many students, especially the disadvantaged, are not computer savvy. Waxenberg said the state should develop its own tests and evaluate teachers not on tests, but on other indicators of a student’s growth and development. Others are giving it lower grades because, unlike the provision that allows school systems to decouple teacher evaluations from their student’s test scores, other changes to the accountability written into No Child Left Behind are less clear. Legislative language of the bipartisan deal will be released Monday, which could provide better detail. The new education bill aims to provide protections for the bottom 5 percent of schools in a state, and calls for states to focus on schools with high dropout rates and those with poor and minority students, students in special education and those just learning English. But specific actions are not spelled out and would be left to the states. That concerns a coalition of civil rights groups that believes the Every Student Succeeds Act loosens accountability standards too much, harming minorities and disadvantaged groups of students. The civil right groups argue the tougher accountability standards in No Child Left Behind have resulted in measurable improvements for minority students, and they urge Congress not to gut them. When the Senate was considering its version of the bill this summer, Sen. Chris Murphy, D-Conn., failed in his attempt to amend the bill to ensure assistance for minority students, those with disabilities, and English language learners who aren’t meeting certain benchmarks. The White House said this summer it would veto a bill without accountability standards. But it is expected to support the final bill. But Dianne Willcutts, an advocate for disabled children with West Hartford-based Education Advocacy, said she is concerned the education bill would prompt states to raise the number of children in a subgroup — called the ‘n size’ — that would trigger measures aimed at tracking the progress of these children. Common subgroups are minority, disabled and low-income students. “We were hopeful the bill would set a minimum, but right now it just says you have to have a statistically significant group in each grade,” Willcutts said. Meanwhile, conservatives are panning the new education bill because they say it continues to give the federal government too much control over education and eliminates a provision in the House version of the bill that would have allowed federal funds to follow a poor student even if he or she transfers to a wealthy school. “There is not much for conservatives to love,” said Lindsey Burke of the Heritage Foundation.